Born in Denmark, raised in Canada, and choosing to live and build a business in Idaho, Jytte Mau grew up knitting as a child and enjoying the outdoors, especially skiing. It would only seem natural that Jytte’s career would lead to designing products for companies like Salomon, Demetre, Wigwam and Marmot. Eventually, she decided to start her own company in Hailey, Idaho, and make JYTTE merino wool beanies. 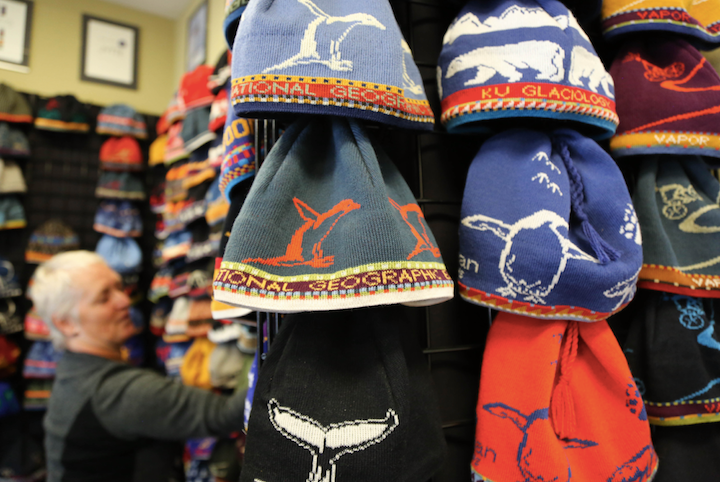 JYTTE beanies are manufactured locally using high-end materials on advanced CNC machinery. Jytte is adamant about producing a “Made in the USA” product that represents her passions and lifestyle. Her first-class design skills allow her to customize any beanie to any occasion or purpose. JYTTE beanies are known worldwide, have been recognized in the skiing and outdoor communities for over 35 years and have been worn by organizations such as the Olympics, National Geographic, hospitals, ski patrol, race events and breweries. Jytte is passionate about her products and the environment. Excess material is used for pet beds and toys which are donated to rescue shelters across the country. When you stop by for a visit, you will meet friendly dogs and people living their passion. Just remember, it’s pronounced “you-tay” and they’re Tested in Idaho.